Listen to the broadcast recorded on February 28, 2018. 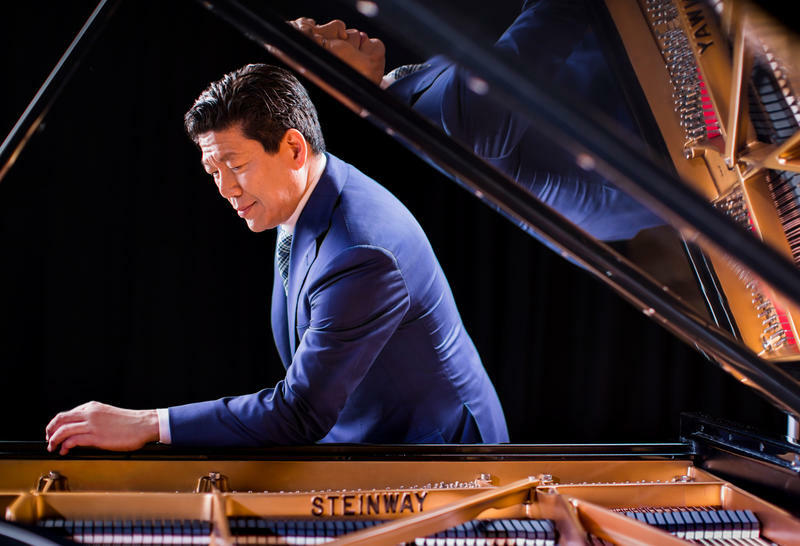 Join us for the third live broadcast in our series celebrating the 165th anniversary of Steinway & Sons pianos, featuring Steinway artist Meng-Chieh Liu on February 28th at 12:10 pm. 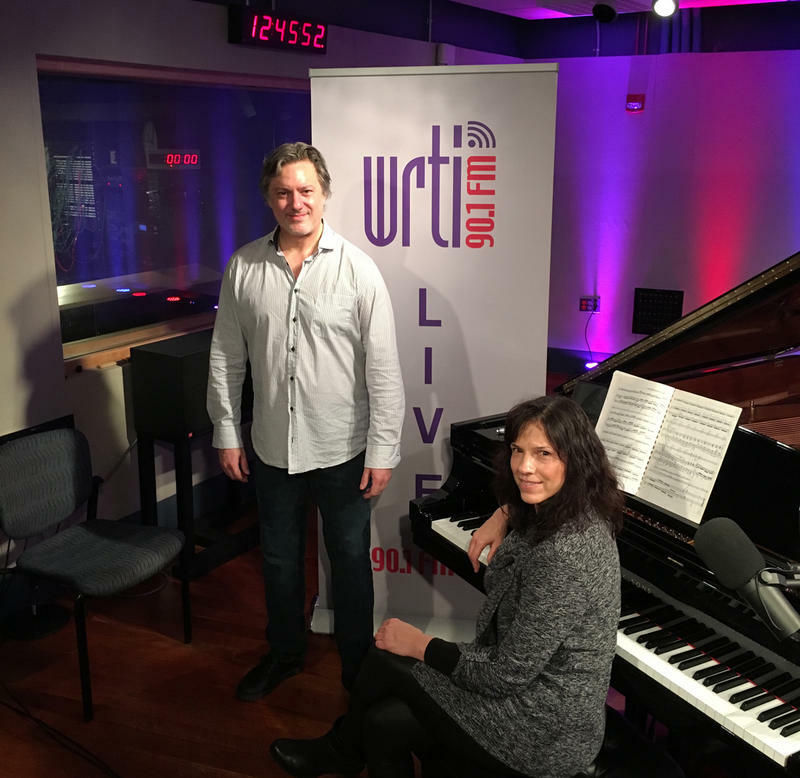 Meng-Chieh plays Schumann’s Eintritt from Waldszenen, Messiaen’s “Le Baiser de l’enfant Jesus," and Rachmaninoff's Polka de W.R. WRTI's Kevin Gordon is host. Watch on the WRTI Facebook Page! 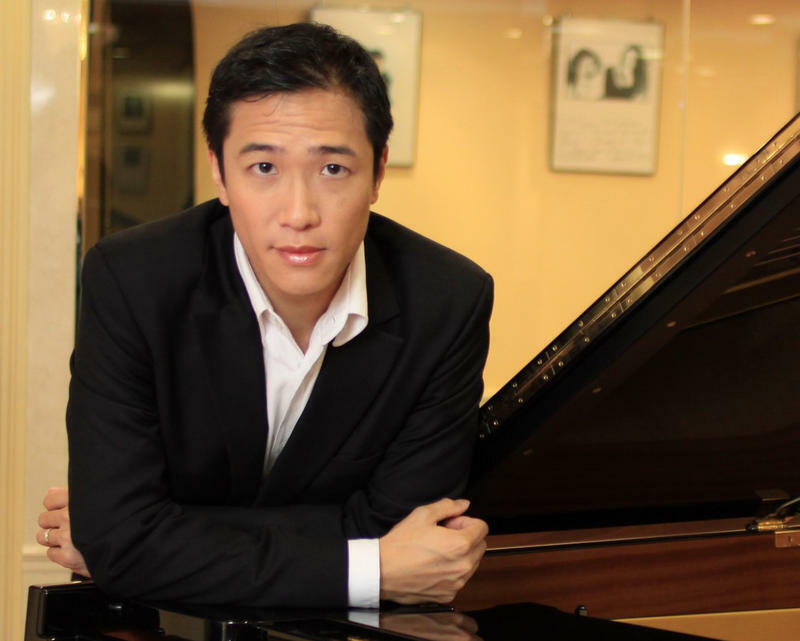 Born in Taiwan, Meng-Chieh made headlines in 1993 as a 21-year-old student at The Curtis Institute of Music when he substituted at last-minute's notice for André Watts at the Academy of Music in Philadelphia. That concert was followed by a number of performances, including a recital at the Kennedy Center and a concert on the Philadelphia All-Star series. 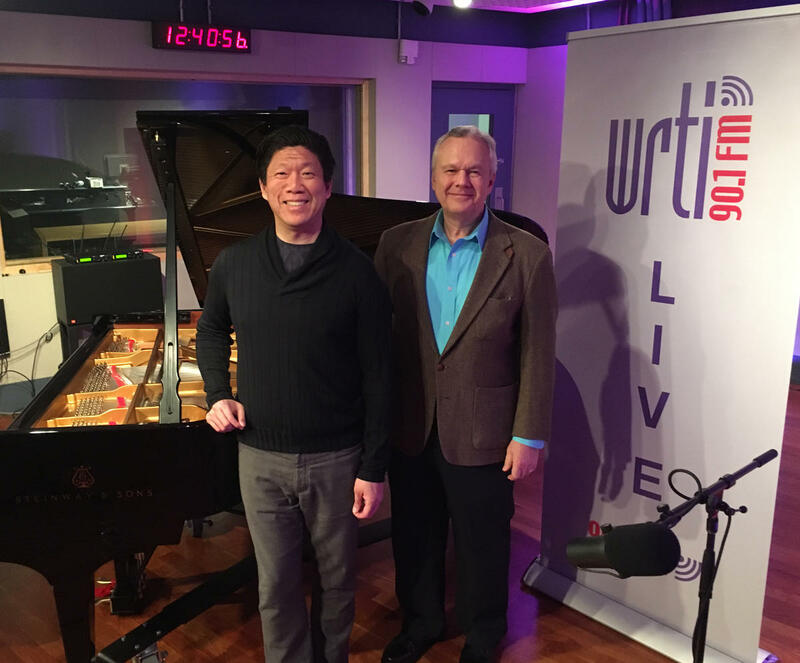 Pianist Meng-Chieh Liu with host Kevin Gordon in the WRTI 90.1 Performance Studio. An appearance with The Philadelphia Orchestra had to be called off when Meng-Chieh came down with a rare illness. He was in the hospital for a year, but his determination along with physical therapy restored Meng-Chieh to health to full and he is once again performing on the concert stage. Last season, Meng-Chieh appeared with orchestras in Philadelphia, Miami, Beijing, Shenzhen, Kunming, Qindao, and Taichung, collaborating with conductors Long Yu, Daye Lin, Kah Chun Wong, Guoyong Zhang and David Wetherill. He was the featured soloist with the Forbidden City Chamber Orchestra. Listen to the broadcast recorded on February 27, 2018. Join us for the second live broadcast in our series celebrating the 165th anniversary of Steinway & Sons pianos, featuring the Greek pianist Maria Asteriadou and her husband, violin soloist and concertmaster of the New York City Ballet Orchestra Kurt Nikkanen. WRTI's Kevin Gordon is host.